Since 1990 and the creation of the first strictly endoluminal airway silicone stent, commercially available, by Jean-François Dumon in Marseille, it became possible to solve or palliate complex airway diseases that, previously, could either be managed by difficult surgical procedures associated with high morbidity and mortality or lead to patients’ death secondary to respiratory distress. Since that time, other silicone and metallic stents have been designed, but the Dumon stent remains the gold standard in airway stenting. 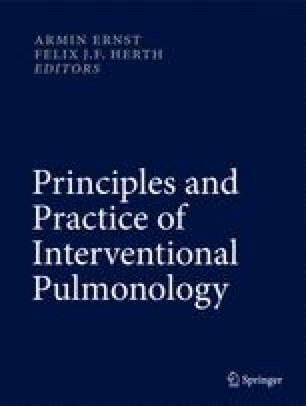 This chapter will describe the different silicone stents, their indications, technique of placement, advantages and drawbacks.